In the United States alone, over 30 million individuals struggle with an eating disorder. Among adolescents, eating disorders are the third most common chronic illness, and the rate of children living with eating disorders is on the rise. If you are worried about your child’s eating, it is important to start an informed and compassionate conversation with them. Eating disorders are complex and biologically-based mental illnesses. They are not a choice, a phase, or a fad. Eating disorders affect people of all ages, genders, body shapes, weights, and sizes. Eating disorders are discernable by their extreme nature, such as dramatic calorie reduction, purging behaviors, uncontrollable eating and/or distress about appearances. Eating disorders are often severe and rarely resolve on their own, so early intervention and professional treatment is essential. Anorexia Nervosa Anorexia revolves around the restriction of food intake and an obsession with body weight, size, or shape. It is the most fatal of all mental illnesses. Warning signs in preteens and teens may include a refusal to maintain an age-appropriate weight, body dysmorphia, over-exercising, and restrictive behavior around food. Bulimia Nervosa Bulimia is an illness that causes an individual to overeat and then to purge. Warning signs typically include uncontrollable eating followed by compensatory behavior such as vomiting, using laxatives or diuretics, and/or extreme exercise. Binge Eating Disorder Binge eating is characterized by repetitive moments of extreme and uncontrollable eating. Warning signs may include eating to self-soothe, hiding wrappers and food, weight gain, or shame around eating. Other Specified Feeding or Eating Disorder OSFED consists of atypical anorexia (anorexia without weight loss), infrequent bulimia, binge eating with fewer occurrences that usual, and purging disorder. Signs and symptoms generally correlate to the major eating disorder (anorexia, bulimia, or binge eating) they most closely resemble. Avoidant/Restrictive Food Intake Disorder ARFID is most commonly found in children and teens. It is an eating disorder that results in weight loss, nutrient deficiency, and difficulty in day-to-day life. Warning signs can be weight loss, a refusal to eat due to feeling ill or due to a fear of choking, a lack of interest in food, a disdain for certain food textures or consistencies, and a lack of body image concerns. Weight changes. Any unexplained or abnormal weight changes may be a result of an eating disorder. Strange food behaviors. Children with eating disorder may have strange rituals around food and mealtimes. They may be extremely picky, rearrange meals, avoid eating, or become anxious around food. Avoidance. Children with eating disorders tend to avoid situations involving food and/or make up excuses as to why they are not eating. Compulsivity. Compulsive eating, exercise, or other anxious behaviors may be a symptom of an eating disorder. Personality changes. If your child suddenly seems withdrawn, anxious, or agitated, especially around food, they may be experiencing an eating disorder. If you believe your child has an eating disorder, the most important thing you can do is to promptly address it. You can say, “I noticed that you aren’t eating with the family” or “You haven’t been eating much lately and I’m concerned.” Is important to also use questions that can draw out a dialogue to continue the conversation. You could ask, “Are your friends at school dieting?” or “How do you feel about your body?” From there, listen to your child and assess if they need professional help. If you are concerned your child has an eating disorder, it’s important to point out the behaviors that are causing you worry. You can say things like, “You have been skipping dinner with us” or “I noticed you haven’t been eating when your friends are over.” By avoiding comments about your child’s body shape, size, or weight, you avoid inadvertently shaming them or worsening their already present body concerns. If you believe your child has an eating disorder, trust your gut. You can schedule an appointment with your child’s primary care doctor to address your concerns or you can make an appointment directly with an eating disorder treatment center like The Emily Program. If you aren’t sure where to start, ask your primary care doctor as they often have recommendations. The most important thing to remember is to trust your gut. If you believe your child has an eating disorder, see your doctor or an eating disorder specialist right away. You can call The Emily Program at 1-888-364-5977 or visit us here (hyperlink: www.emilyprogram.com) to complete an eating disorder assessment today. From there, we can help connect you with a professional treatment team for your child. This team may include a therapist, dietician and/or psychologist. Eating disorders are complex and severe, so it is essential to get your child help as soon as possible. With treatment, recovery isn’t just possible, it’s probable. 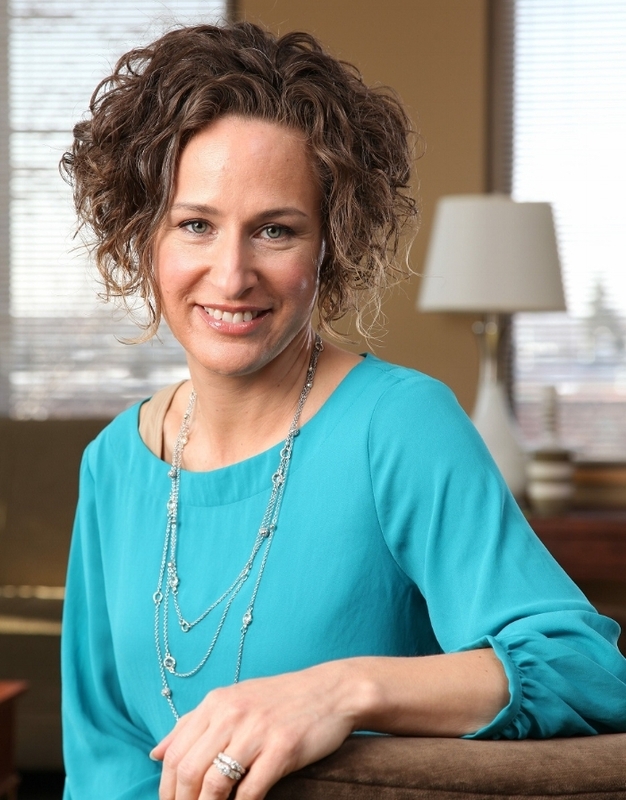 Jillian Lampert, Ph.D., M.P.H., R.D., L.D., F.A.E.D, is the Chief Strategy Officer for The Emily Program, a specialized eating disorder treatment program with locations in Minnesota, Ohio, Pennsylvania and Washington. She has worked for The Emily Program since 2006 and is the President and Co-founder of the Residential Eating Disorders Consortium, whose main goal is to ensure access to eating disorder care. One of her main goals in life is to raise her daughter to accept and love her body. The Emily Program is nationally recognized for our compassionate and personalized approach to eating disorder treatment and recovery. We offer services to all individuals, regardless of gender, age, race or any other demographic categorization. Our vision is a world of peaceful relationships with food, weight, and body image, where everyone with an eating disorder can experience recovery.